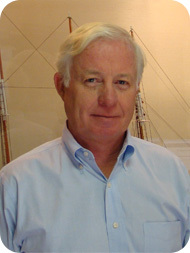 Yacht Broker Andrew Bergh : Atlantic Yacht & Ship, Inc.
Andrew Bergh grew up in New England and started his love for boats and the water at the age of eight sailing classic wooden sailboats. He graduated from Alfred University in New York with a Bachelor of Science in Business with minors in Physics and Foreign Business/Economics. Andrew pursued a business career in manufacturing, but spent every spare moment on the water developing his talents as a Sport Fisherman. Andrew has participated in billfish tournaments from Nantucket Island to the Bahamas. After being involved with the marine industry for several decades on a part time basis, Andrew decided sixteen years ago to become involved with the yachting industry full time. Since joining Atlantic Yacht and Ship, Andrew has focused on Sport Fishing Boats and he is committed to providing the highest level of client satisfaction. His philosophy has been to focus his time and energy on the client’s goals and offering his clients options and excellent service before, during and after the sale.